Home » Events and Blogs » Blog » Why sitting down the whole day can take days off your life! Why sitting down the whole day can take days off your life! How many hours in total per day do you sit? 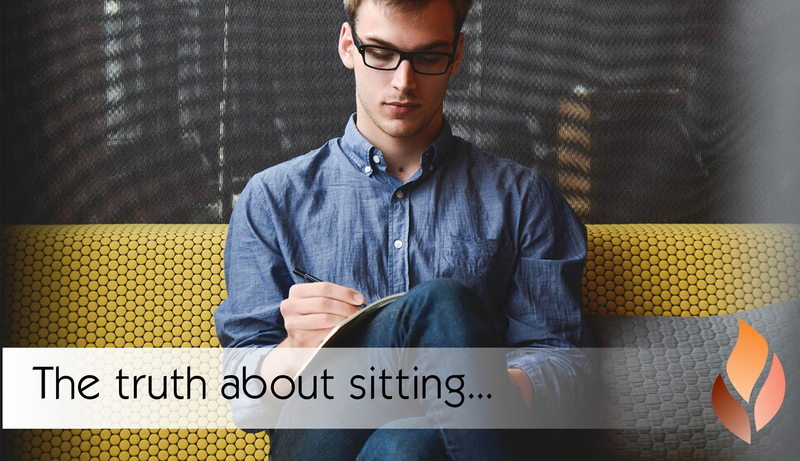 Did you know that sitting down is a hidden risk to your health? You may not realise the impact that sitting can have on your body until you become burdened with back pain, rigid movements and reduced flexibility. Even if you exercise regularly, if you uninterruptedly sit for a great percentage of the time, you’re still causing your body harm and are consequently at an increased risk of dying prematurely. It’s called intermittent movement, meaning to interrupt your regularly scheduled sitting to get up and move around before resuming your work! In turn, this will not only improve your overall health and well-being, but it will also help your posture! 1. Have a timer or an hour glass on your desk that prompts you to stand up and stretch. We recommend doing this every 15-30 minutes, and remember you only have to move around for about a minute! 2. If you want to explore your options, perhaps try to do some squats or star jumps or lunges when it’s time to move! If you work in an office environment, you might like to encourage those around you to get up and move also! 3. Strike a pose! We educate our yogi’s on the benefits and effects of certain postures in the hot room! Postures such as camel are unbelievably powerful and effective in helping posture, strengthening the back muscles and stretching the hip flexors. Our Hot Yoga is a fantastic way to reverse the effects of sitting down. If you haven’t tried it, you definitely should! 4. Healthy spine = healthy life! At Bonfire Chiropractors have an incredible knowledge of how the spine works and how it can effect your body. Check out the video below to find out WHY sitting is bad for you!